Stress! As an adult I know I've felt it and when I think back to my childhood, although I wasn't aware of it at the time, I know now that I certainly stressed about many things back then. From friendships and boys to exams and school work. When I recall those moments, I wish I'd had methods of calming myself down, of not letting things get to me so much. To be honest I could still do with some coping mechanisms now! Teach Your Child Meditation is a book that I was asked to review recently and after just going through a pretty stressful period with my 10 year old revising for some quite important tests, I jumped at the chance of being given some useful knowledge on how to allow my children to de-stress and chill out more in the future. And lets be honest, a happy child will also equate to a happy parent too. 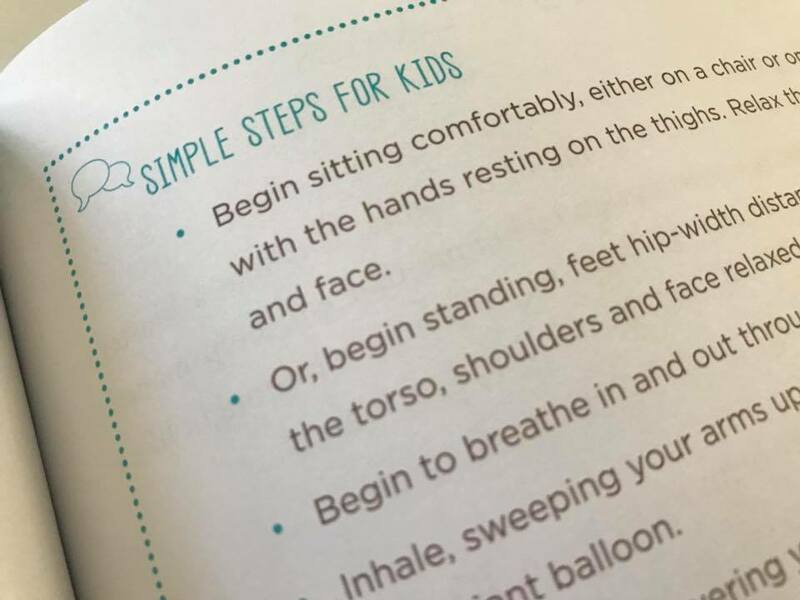 This book features 70 fun and easy ways to help kids de-stress and chill out. Dedicated to those who dare to teach beyond the mind and awaken the soul. 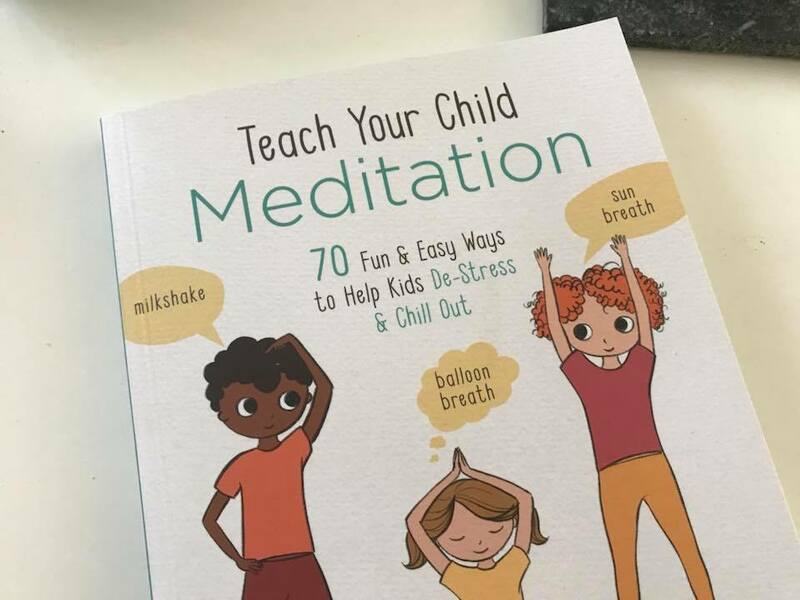 Broken down into five sections: I'm the boss of my breath, hocus pocus I can focus, stress busters and energy equalizers, the chill zone and connect - this books aim is to help your child to calm down, to relieve stress and to achieve a greater mindfulness. The book itself is aimed at children between the ages of 5 and 12 but I have to say I think it can go on to help any child or adult struggling to cope in certain situations. 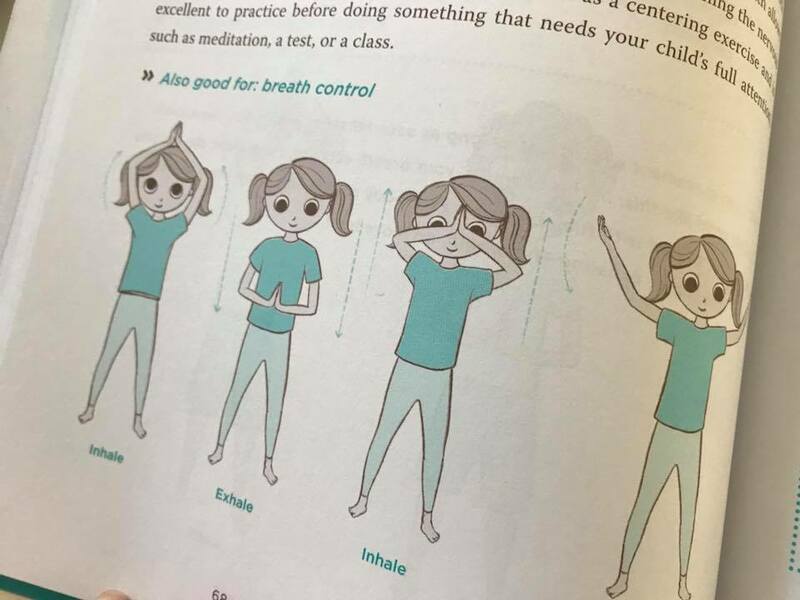 It not only looks ay methods to ease anxiety and reduce stress but it also gives children the opportunity to increase their self-confidence and make them more aware of their own reactions. Written by registered yoga teacher Lisa Roberts who has worked in the field of pediatric wellness since 2006, this is a book that doesn't try to dictate to you what you should be doing with your children, rather a guide that accessible to all who read it, allowing you to work out what works for whatever your goals may be with your family. Each section is beautifully presented with step by step instructions, helpful tips and hints and explanations as to what each exercise is and just why it could possibly help. All of this alongside simple yet effective illustrations make for a really insightful read. Every exercise has their own fun names like bubble breath, people powered plane and magic feather meditation. This really helps capture the attention of younger children, making it into a game and in turn taking the stress levels down even further. Another benefit to this book is that it allows for family time or group activities. I could also see this as being highly beneficial in schools. Especially in those younger years where children seem to have an abundance of energy. This could help if you are looking for pupils to quieten down after running around at lunch time or a way of brightening their mood after a particularly challenging test. Of course once your children have practiced some of the exercises and techniques, they can then go on to perform them by themselves if needed. Teach Your Child Meditation is a book which is perfect for any book shelf given how life can be so hectic whether you are a child or an adult. This is a book that in my opinion is a unique resource, providing children and adults with a set of tools that will not only benefit them now, but for their entire lives. Ella is 11 and is in her first year at secondary school. I've noticed she's a lot more stressed since starting the new school and she's having trouble getting to sleep at night. I think this book would be a big help to her. This sounds really good! Sadly at the age my kids are now - 12, 15 and 17, I don't think they would want to do any of this stuff. But I'm sure it could benefit the younger two in particular. It could also benefit me! I'm sure stress is the cause of my sleep problems.